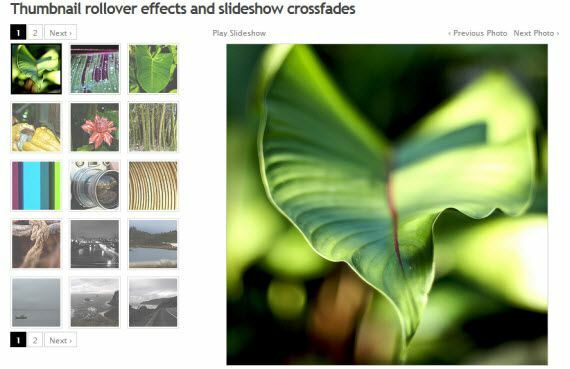 So let us take a look at some of the best Jquery image galleries or sliders (plugins). Feel free to share your opinion with us. To make it even easier for you to choose, I also added live demo link under every jQuery plugin! This is an image slider initially conceived to create 3D transitions between slides, turned out to be a convenient and multifunction solution that can be applied in a range of website building areas, from content slider to feature slider and image & banner rotator. 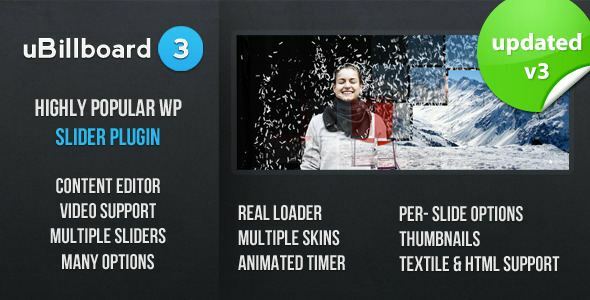 Supersized is a fullscreen slidehow jQuery plugin. It supports image preloading with image cycling with transitioning effect. TN3 Gallery is a full fledged HTML based customizable image gallery with jQuery slideshow, transition, CSS skinning and multiple album options. Compatible with all modern desktop and mobile browsers. Free and premium versions available. 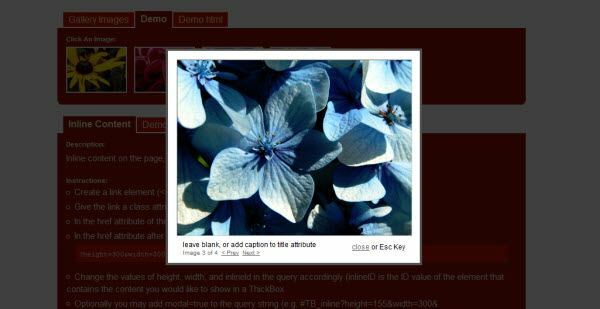 Simple Slide is a jQuery slideshow plugin. It’s easy to use, small and flexible. Slide Deck is an easy to implement with a great design. 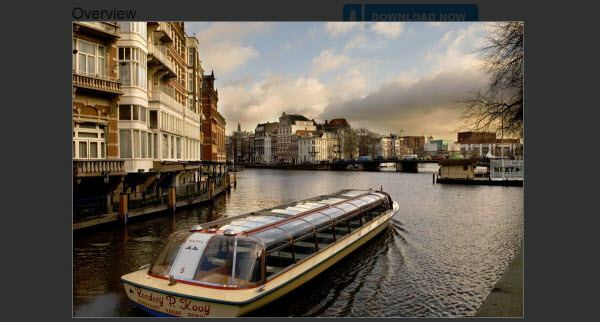 Pretty Photo is a jQuery based lightbox clone. Not only does it support images, it also add support for videos, flash, YouTube, iFrames. 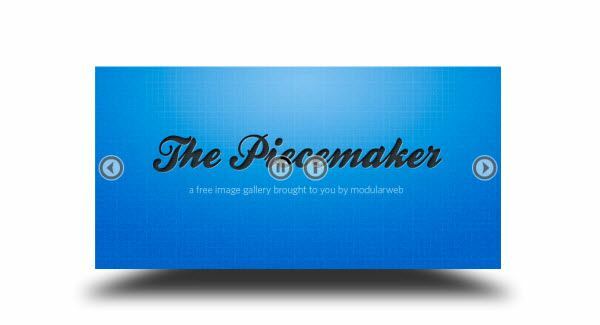 Piecemaker is an open source 3D Flash image rotator gallery. 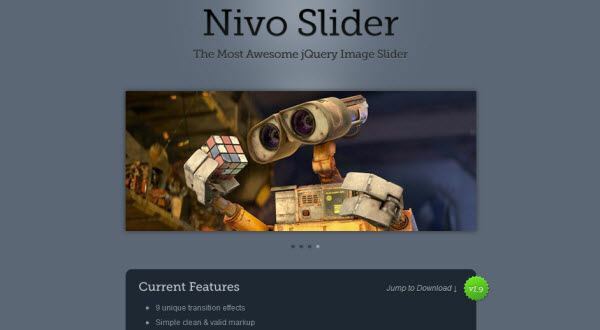 Nivo Slider is a new jQuery plugin with great features : 9 unique transition effects, Keyboard Navigation and Simple and clean. Horinaja is a ready to use slide show implementation, you can also use the mouse wheel to navigate between the slides. 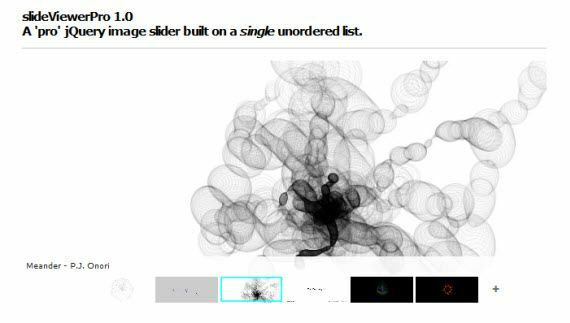 The jQuery Cycle Plugin is a slideshow plugin that supports many different types of transition effects. Coin Slider is a jQuery image slider with unique effects. Pikachoose is a lightweight Jquery plugin that allows easy presentation of photos with options for slideshows, navigation buttons, and auto play. Pikachoose is designed to be easily installed, easy to setup, and well… all around easy. Creating an image gallery shouldn’t be a complex thing. I’ve created a new plugin that I’m packaging with PikaChoose called SliderJS. 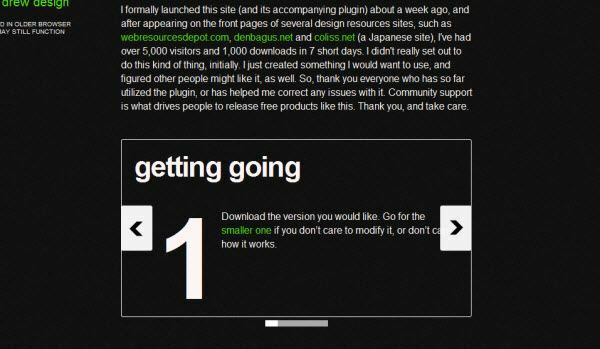 uBillboard is a Premium Slider for WordPress. It is a jQuery based slider with a multitude of transitions and options for you to be able to customize it to your needs while not overwhelming you with options you never wanted or needed. Version 3 is a revolutionary release with most of the codebase rewritten from scratch. This has enabled us to integrate many features that you have been requesting during the first year. 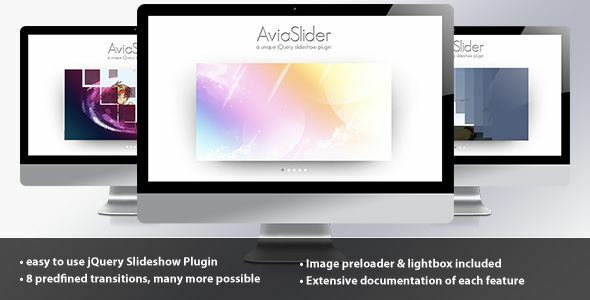 Advanced Slider is a jQuery plugin that allows you to easily create powerfull sliders using either XML , thus making the slider much easier to setup and maintain, or using HTML markup. The plugin also provides an easy to use API which will allow to further enhance the functionality of the slider and make it possible to integrate it into your own application. 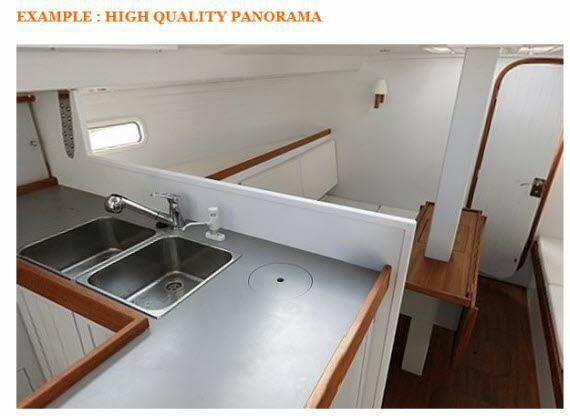 Please take a look at the list of features below. 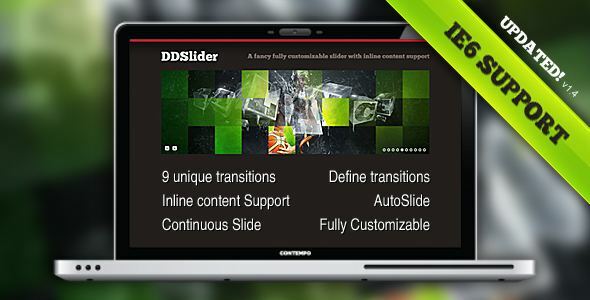 The s3Slider jQuery plugin is made by example of jd`s smooth slide show script. 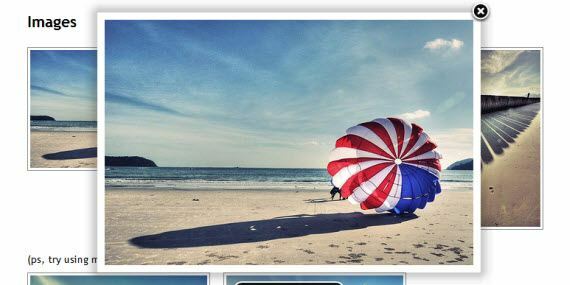 SlideViewerPro is a fully customizable jQuery image gallery engine wich allows to create outstanding sliding image galleries for your projects and/or interactive galleries within blog posts. DDSlider introduces a new easy-to-go slider with 9 different unique transitions (+fading & random—11 total) that support Inline Content. 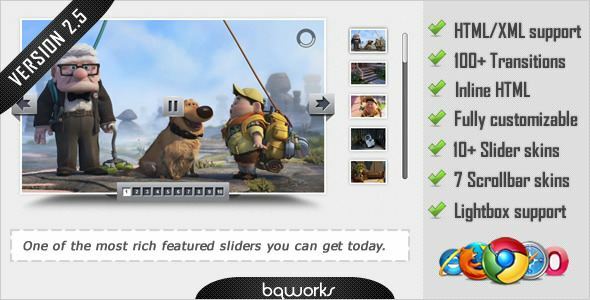 You can also have multiple sliders in the same page. It’s a full screen image gallery that automatically scales the image with kept aspect ratio to fill the browser background. It also supports a flickr search engine, thumbnails, captions, preloader and some other goodies. 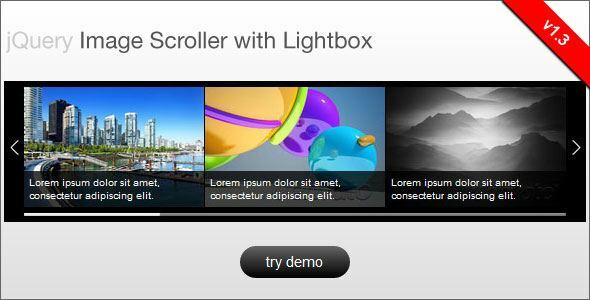 A light-weight, customizable lightbox plugin for jQuery 1.3. 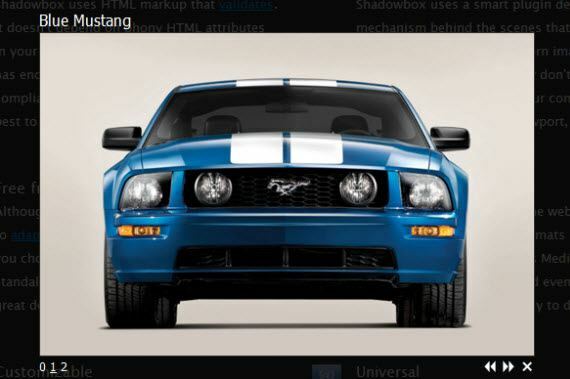 S3 Slider is a jQuery plugin with nice effects and with self image changing. Easy Slider is a jQuery plugin, you can set up your own options and is easy to implement. 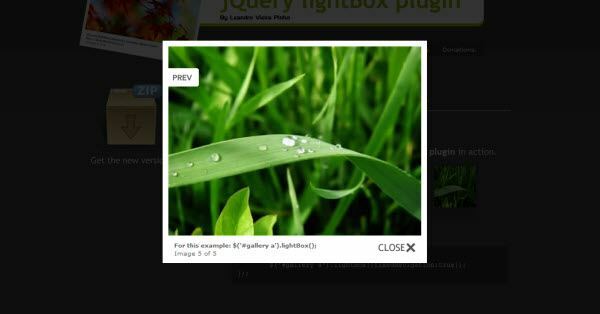 jQuery lightBox plugin is simple, elegant, unobtrusive, no need extra markup and is used to overlay images on the current page through the power and flexibility of jQuery’s selector. This demonstration shows you aome more advanced effects you can accomplish with the Galleria plugin. 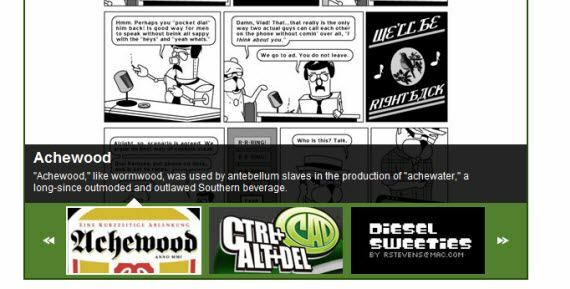 The history object is also active, so feel free to try the back button in your browser and bookmark a page. The next and previous links are simple to create since the galleria object has two public functions for traversing the images in your list. 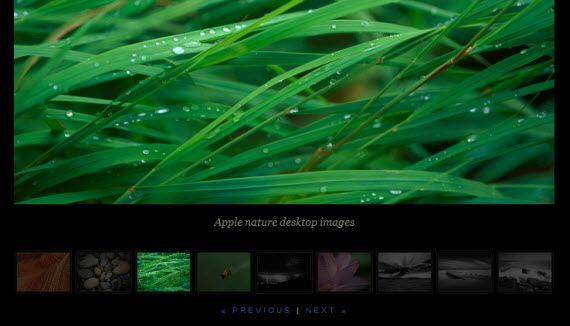 The jQuery Cycle Plugin is a lightweight slideshow plugin. It supports pause-on-hover, auto-stop, auto-fit, before/after callbacks, click triggers and many transition effects. It also supports, but does not require, the Metadata Plugin and the Easing Plugin. 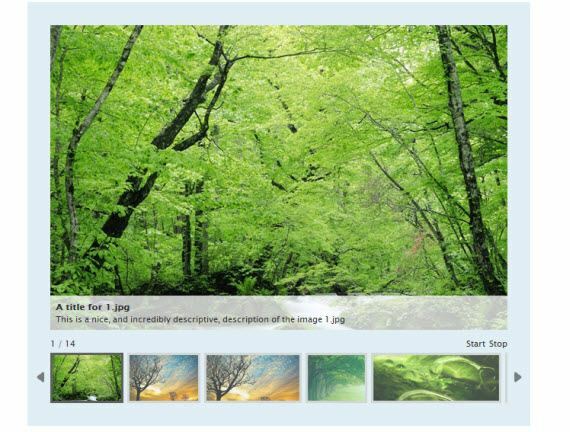 imgAreaSelect is a jQuery plugin for selecting a rectangular area of an image. 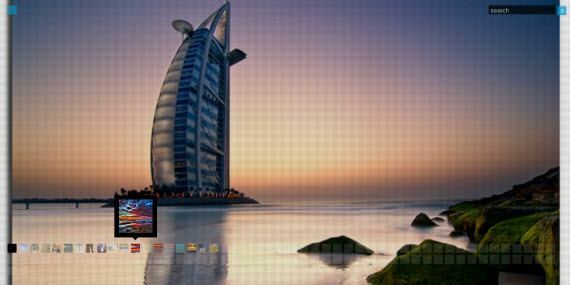 It allows web developers to easily implement image cropping functionality, as well as other user interface features. 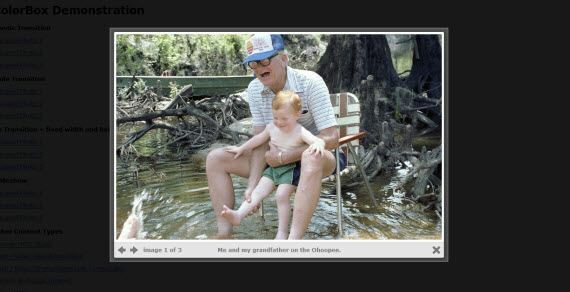 The image overlay plugin is a simple jQuery plugin that attempts to present an image with an overlaid title/caption. The overlay drops in on hover, as you can see above. 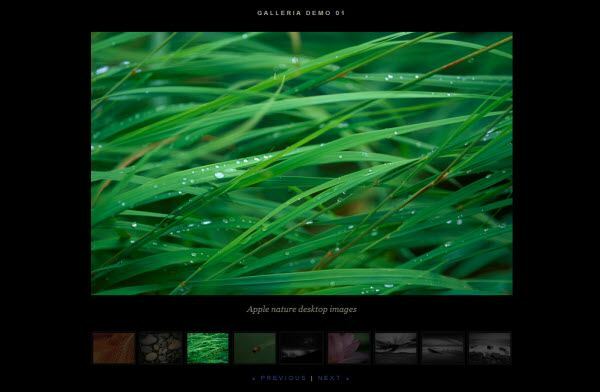 Galleriffic is a jQuery plugin that provides a rich, post-back free experience optimized to handle high volumes of photos while conserving bandwidth. I am not so great at spelling, and it was much later that I realized that the more appropriate spellings would be Gallerific or Gallerrific, but is too late now for a name change, so Galleriffic remains. It comes with an image preloader so the slider starts when images are ready to be shown. No clumsy animations with half loaded images. 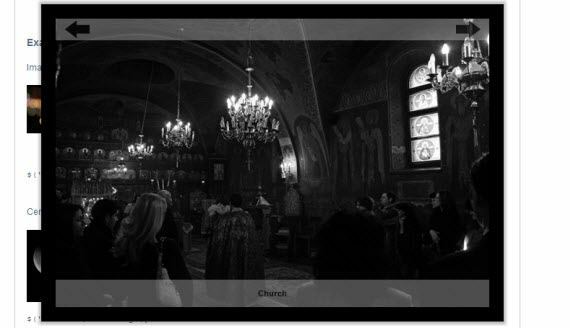 FancyBox is a tool for displaying images, html content and multi-media in a Mac-style “lightbox” that floats overtop of web page. 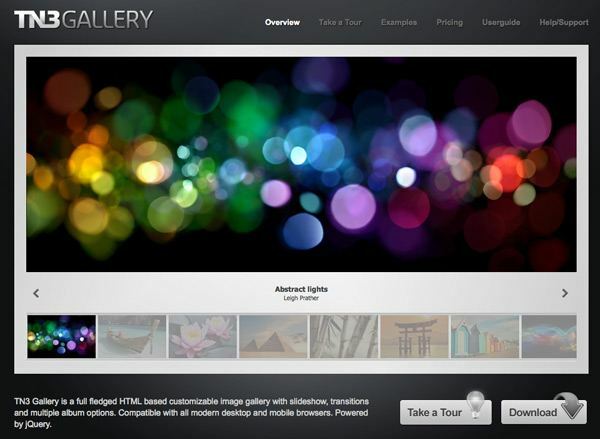 A highly customizable gallery/showcase plugin for jQuery. The SlidingGallery plug-in will take a group of images and turn them into a cyclical gallery of images which the user can click through. One image will be centered on the screen, with two smaller images off to the sides. 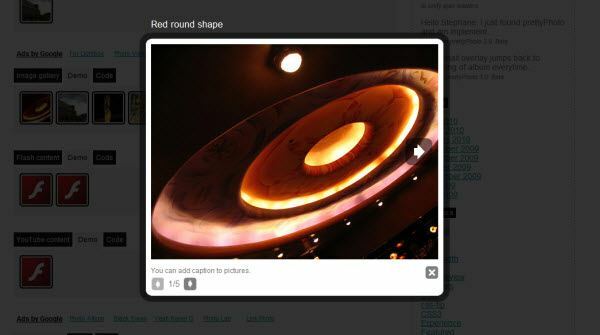 The user can click either of the smaller images to bring them to the center, or the center image to enlarge it. For optimal use, this plug-in should be applied to seven or more images, but can work with fewer (images will be duplicated in order to bring the total to seven). 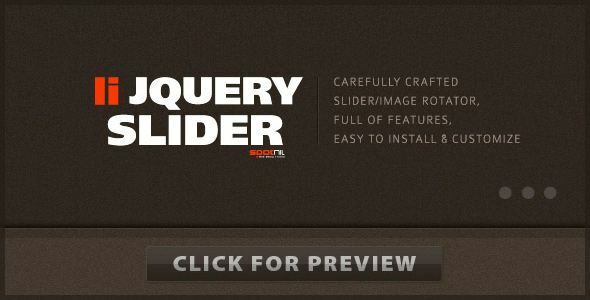 This jQuery Image Slider is carefully crafted slider/image rotator, full of features, very easy to install and customize. Whenever you need a full featured slider image rotator or you need a simple ad banner, li jQuery Image slider will do the job with ease! 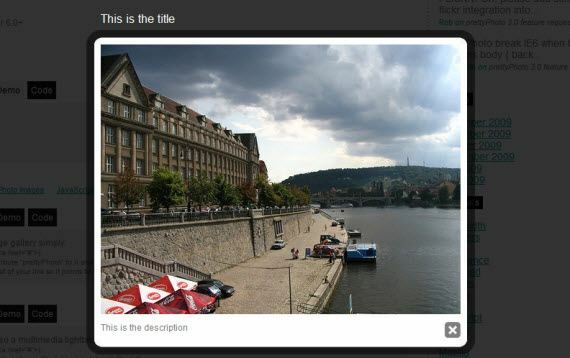 I am sure you would have liked all these jquery image gallery and slider resources (plugins). Great collection some of them are new to me, thanks! 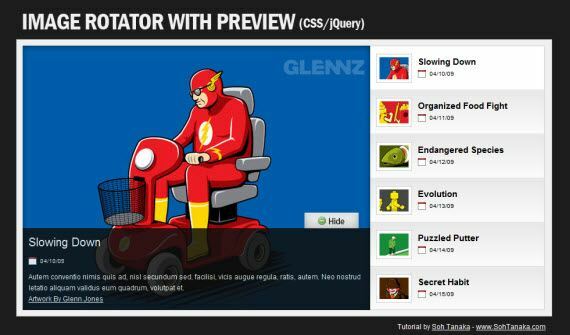 jQuery made websites so beautiful and our tasks much easier. 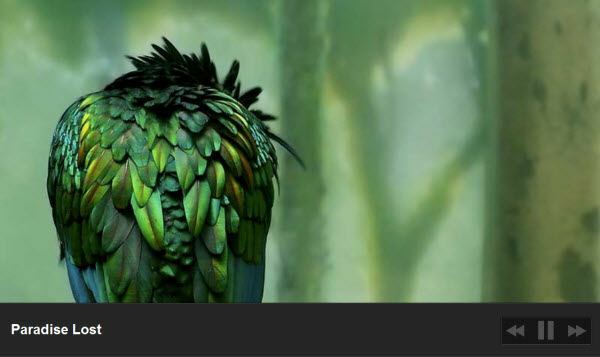 Thanks for sharing these awesome image galleries.